San Diego limped to the finish line of 2015 with their worst record in 12 years. The last place Chargers were winless in the AFC West and won one game on the road, with none of their four victories coming against a team with a winning record. Quarterback Philip Rivers had a phenomenal year despite being leveled by edge rushers. He finished the year with over 4,500 yards passing and 29 touchdowns. Running back Danny Woodhead was a beast leading the Chargers in receptions, receiving yards and touchdown catches. Tight end Antonio Gates isn't the player he was but still managed to snag in five touchdowns. Wide receiver Keenan Allen was on pace to crush franchise records for receiving until he lacerated his kidney and his season was over. The offensive line was a disaster and couldn't open up holes in the running game. The defensive line was average at best and a 3-4 defense needs more from its frontline. The linebackers were one of the few bright spots on this team as Melvin Ingram finished the year with 10.5 sacks. Cornerback Brandon Flowers didn't deliver much after being resigned by San Diego and his knee injury didn't help his cause. Safety Eric Weddle had made it clear he wasn't resigning with the Chargers and that was verified when the team fined him for staying on the field to watch his daughter perform in a halftime performance. Cornerback Jason Verrett was the team's only pro bowler and showed he can be one of the league's top corners when he is healthy. The rookie class showed a lot of disappointment and surprise. Running back Melvin Gordon never found his legs and his first season was a true waste. Middle linebacker Denzel Perryman emerged as a starter alongside Manti Te'o and helped improve the team's shaky run defense. Outside linebacker Kyle Emmanuel was a surprise find out of North Dakota State and has found a role as a situational pass rusher. 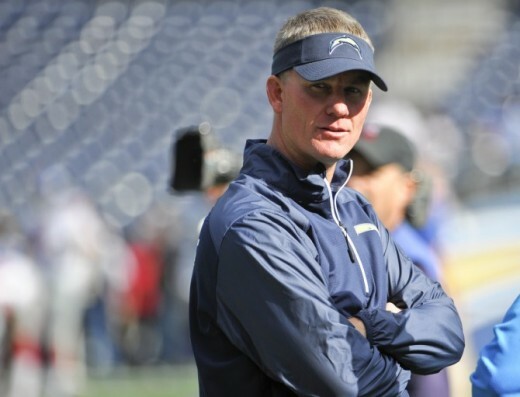 Despite finishing with a 4-12 record, team president John Spanos believes the head coach Mike McCoy is still capable of leading San Diego back to the playoffs. After the season, offensive coordinator Frank Reich was fired and replaced with former Arizona Cardinals and Tennessee Titans head coach Ken Whisenhunt. With the third overall pick in the draft, San Diego had a lot of positions that needed addressed. Most predominantly at offensive line, defensive line, and safety. Injuries and sub par play have been the norm for the offensive line for the past few years. The Chargers need players who can stay healthy and be productive. The defensive line struggled with stopping the run all year and the three starters were thrown around like rag dolls. Brandon Mebane is a nice addition but he needs help. Eric Weddle is now in Baltimore and Jahleel Addae is average at best. San Diego needs help on the last line of defense. 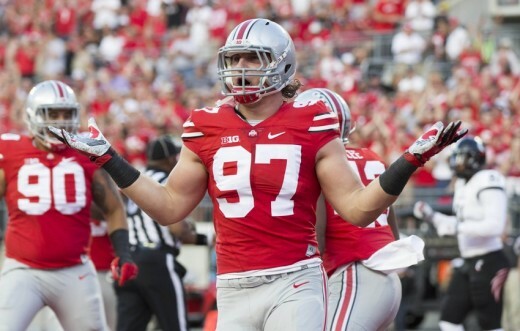 The Chargers ended up selecting Ohio State defensive end Joey Bosa with the third overall selection. Bosa was viewed as the best overall prospect and best tackling defensive end in the draft but needs to refine his leverage when rushing. San Diego also acquired several quality players throughout the draft including Arkansas tight end Hunter Henry, USC center Max Tuerk, Ohio State linebacker Joshua Perry, Akron linebacker Jatavis Brown, and Wisconsin fullback Derek Watt. Henry had the best hands of any tight end in the draft but lacks the ideal bulk for the position. Tuerk was the quickest center coming out of college but must prove he can play at the same level before tearing his ACL. Perry has the motor and drive to give it his all on every play but lacks top speed to chase down plays. Brown has the athleticism to make plays all over the field but his undersized frame may hurt him in the NFL. Watt is an outstanding blocker and decent receiver out of the backfield but must prove he can do it consistently. Watt is the younger brother of Houston Texans defensive end and three time NFL defensive player of the year J.J. Watt. The Chargers added a lot of talented players the offseason, but I don't think it will be enough to compete right away. Philip Rivers is going to put up stats. That will never be an issue. The key will be the offensive line being able to protect him consistently and open holes for Melvin Gordon. Wit the addition of Derek Watt, Gordon now has a lead blocker who can take on the first defender through the hole to create space for the ball carriers. Before his injury, Keenan Allen showed he was ready to assume the mantle of the number one receiver with Travis Benjamin being a nice complement. The defensive line should be better with the addition of Brandon Mebane and Joey Bosa. Even if some "experts" say Bosa doesn't fit the 3-4 scheme, his motor will never be an issue and he's going to cause trouble for the opposition. The linebackers will have even more depth with the addition of Joshua Perry and Jatavis Brown. There will still be concerns in the secondary as Eric Weddle was the leader of the defense and it will be interesting to see who steps up and takes over that role. In all, the Chargers will have more wins in the win column, but there are still questions about the offensive line and secondary that will keep San Diego from making a playoff push. 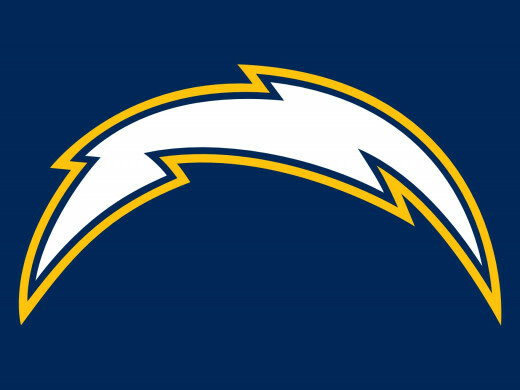 How will the Chargers fair this season?